Tip sheets, white papers, newsletters, top-media lists, webinar recordings, Fresh Ideas blog posts and other information resources that public relations professionals use in their daily practice are all within easy reach on the redesigned BurrellesLuce website, which went live Sept. 8. Our client-first philosophy is the hallmark of a company that has been a leader in our field for more than 120 years. Besides sporting a new look, the site features more content--yet is simpler to navigate--than before. "We promote BurrellesLuce to PR practitioners as 'your path to public relations success,' and our enhanced website is an ideal route for that journey," said Gail Nelson, senior vice president, marketing. One major reason for refashioning the website is the company's recent introduction of several new services. Over the past 10 months, BurrellesLuce has launched a variety of services that give clients excellent value for their PR dollars. They include BurrellesLuce iMonitor, automated measurement, online video monitoring, and Automated Share of Voice reporting. "In the face of a severe recession, BurrellesLuce has taken the long view and has strengthened our ability to help PR practitioners stay ahead of the media relations curve," Nelson said. "Our client-first philosophy is the hallmark of a company that has been a leader in our field for more than 120 years." 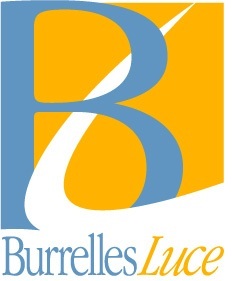 A fascinating history of BurrellesLuce is among the many informative items that can be found on the website, along with client success stories, executive speaking engagements, upcoming BurrellesLuce-sponsored events, and a host of other materials that can assist PR professionals in honing their craft. BurrellesLuce is committed to supporting PR professionals in all areas of their media relations practice. The company strives to achieve that goal by providing practical, cost-efficient software and services for media planning, media monitoring, and media measurement. Its online media relations portal, BurrellesLuce 2.0, delivers news content, as well as enabling clients to identify and connect with journalists and bloggers, track media coverage, and assess the impact of their outreach efforts.